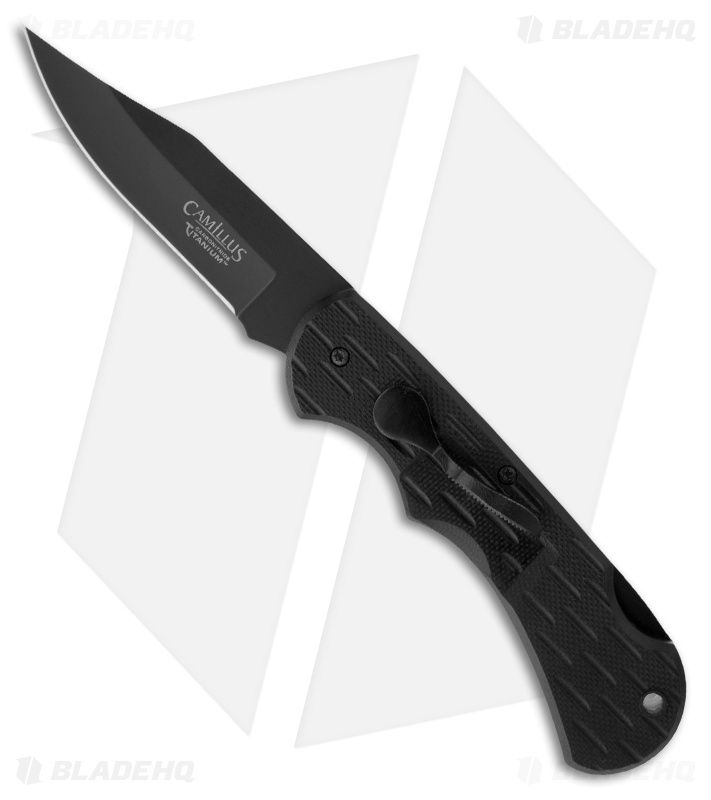 The 6.75" Lev-R-Lock Clip Point Folder from Camillus Knives has a Carbonitride Titanium coated Japanese AUS-8 steel blade with a plain cutting edge. 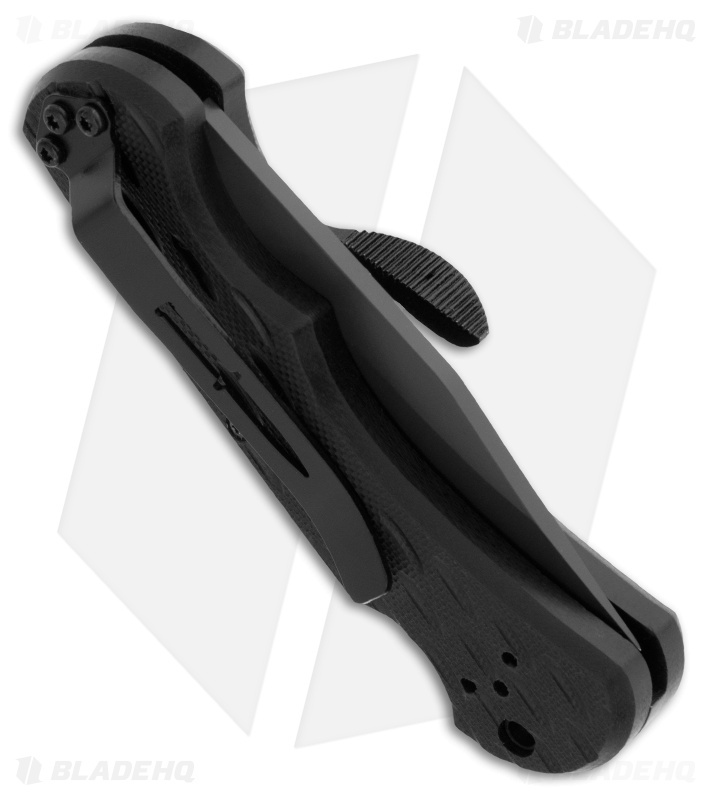 This folding knife has a unique opener, the Lev-R-Lock, which deploys the blade in a single flip of the lever. The lock back keeps the blade safely open, just push the top tail-end of the handle to release. The G-10 scales feel good in hand, while the Lev-R-Lock provides extra traction. Includes a tip-up or down carry pocket clip.